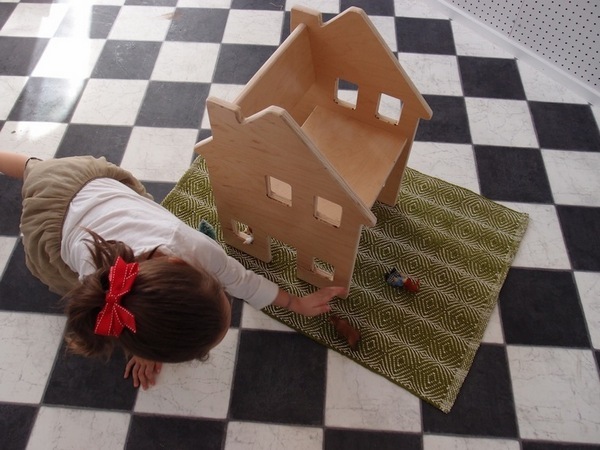 A little while ago we showed you a coffee table that doubled as a dolls house. Well here’s another multi-tasking piece of furniture. From Paloma’s Nest comes the Neighborhood chairs. Each of these divine wooden chairs, sized for kids, is in the shape of house and each also doubles as a dolls house! 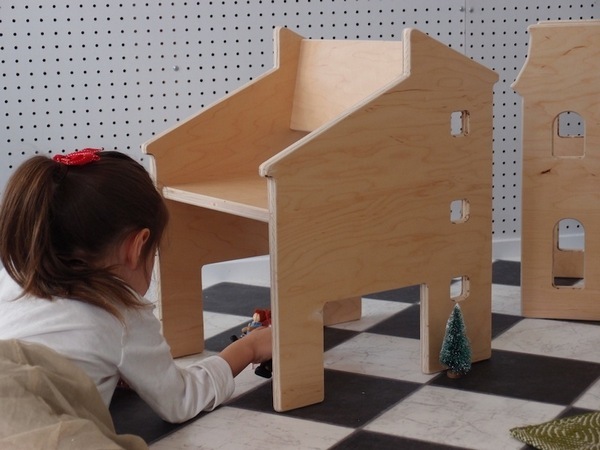 As kids (and parents) can be discerning about the era of their dolls house, the Neighborhood chairs are available in three different designs – the Victorian has a traditional turreted roof and arched windows and doors; in contrast, the Modern has a minimalist silhouette, a slanted roof and square windows; and the most traditional of shapes, the Colonial, features a peaked roof and chimneys. Choose one or create a fabulous eclectic neighbourhood with a collection of chairs. The chairs are US$228 each and are available directly from Paloma’s Nest. International shipping is available by arrangement.